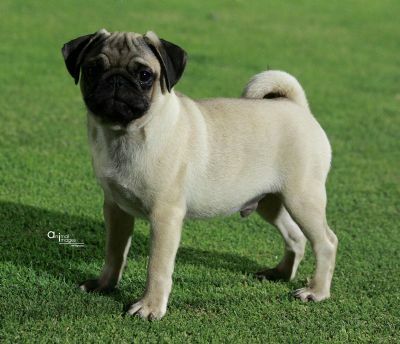 We also have puppies for sale to approved homes from time to time. fed with the best food and attention given. of very good type. Compact of form,and with a good large round expressive head,eyes lustruos and round. Very good front legs set well under the body.Good wide chest,up to a level top line to a tail that was well set on and curled well. This boy moved really well around the ring, with power and drive. 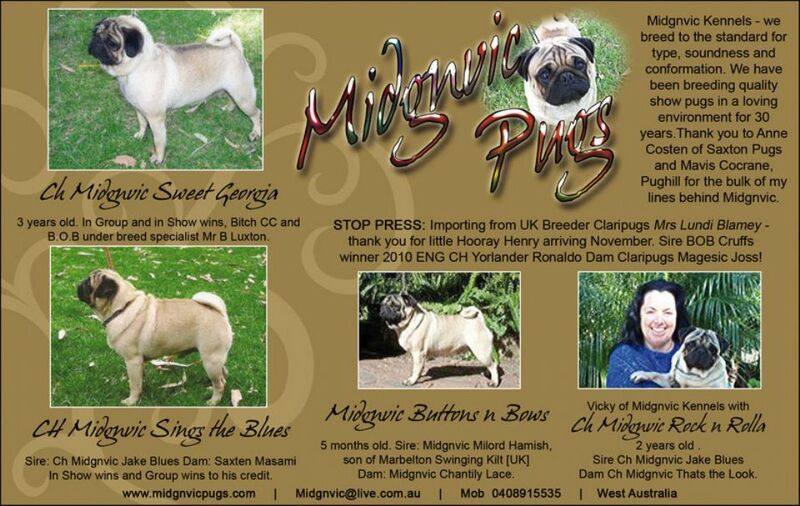 Also Matt has won top pug 2012,and best of breed Perth Royal Show for the 2 year running. 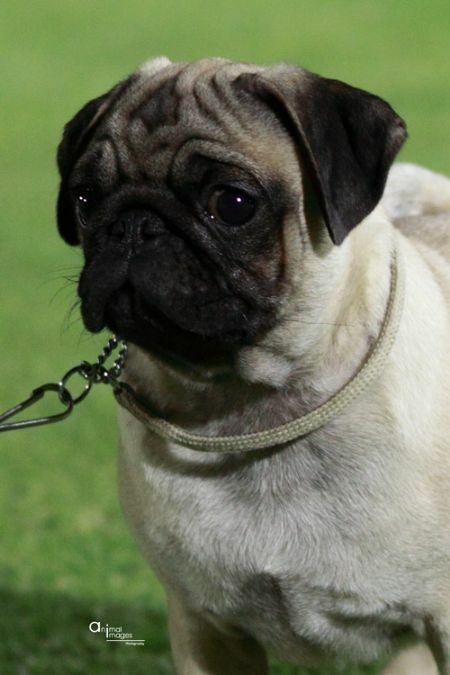 Looking foward to some nice babys comming out in the new year. 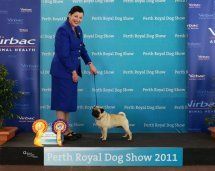 Sat 21 Jan 2012 Matt has again out shown at the Ladies kennel club of WA under General special judge Mr B Beattie.